With Shave Therapy you get three products for the price of one: a shaving lotion, aftershave, and daily moisturizer. The essential oil blend is naturally antifungal and antibacterial, keeping your skin healthy while leaving a cool, energized feeling that will help you wake up in the morning. Natural shea butter and aloe vera reduce irritation, razor bumps, and dryness, softening and conditioning your skin to promote healthy growth. The clear formula allows you to see your hair while you shave so you are guaranteed the closest, cleanest shave possible. 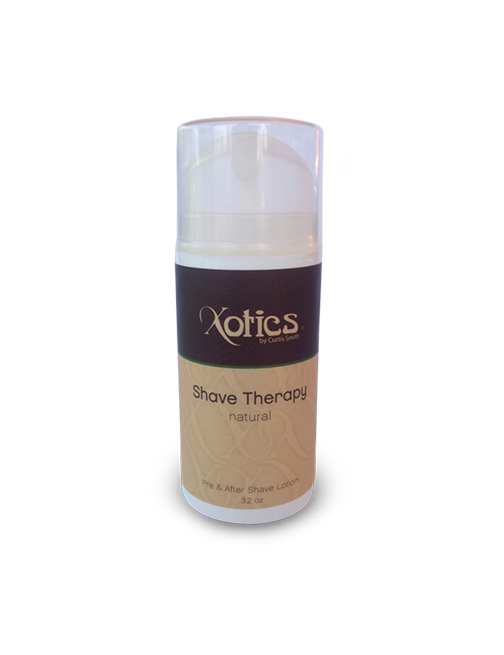 Shave Therapy will keep your skin smooth, soft, and touchable, all day long. My husband loved the shaving cream. It smelled minty and had a cooling effect on his skin. He used it in the morning and it really had a energizing effect. The ingredients are amazing. Shea butter,aloe and essential oils are ingredients great for a healthy smooth shave.